This Month we have launched our first 2 small groups at SDSU! Kendra is leading a girl’s small group and Zach is leading a guy’s small group both of which meet on campus once a week between class times. It has been exciting to see how God has formed these groups and already in our first month we are seeing community being built and life change happening. 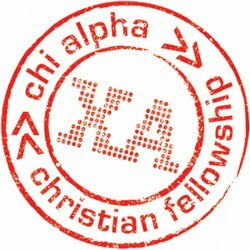 During the first meeting of every small group launch we use a tool given to us from another Chi Alpha called "kids in a tree." 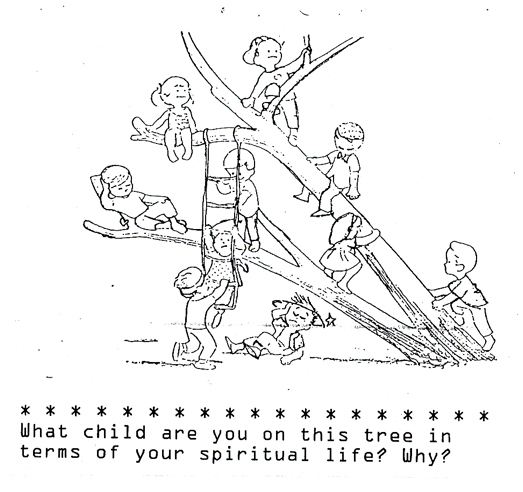 it is an illustration of all types of kids playing around a tree. The children in the picture are climbing, resting, hiding, falling etc. We ask each member of the small group to identify what child they are in the picture in terms of their relationship with Christ right now. We have found this tool to be extremely effective in opening up deep conversations and allowing quick, powerful bonding to begin to happen during the first meeting. Kendra's group is made up of 5 girls from all different walks of life, freshmen, upper classmen, Christian, Catholic and one who borders atheism. Yet it was interesting when asked to identify which kid they were playing in the tree, each girl expressed being the kid that was lost or hiding. Feelings of being lost are a very common theme among college students in fact the statistic is thrown out there (always take them with a grain of salt, I do) that 80% of college students who grew up in church have a crisis of faith during their first 2 years in college. What a privilege it is to be in the trenches walking students through this crisis to the other side where they are transformed into an authentic faith and identity in Christ that allows them to be disciples and join in the mission of reaching their campus for God. All of the students God has brought us are definitely still in process, but aren't we all? Jesus said he came for the sick, not for the well. We are believing God for big things in the lives of these students as they open themselves up to being discipled and used by God to disciple others. Peyton and Kendra opened their production of Charlotte's Web this past weekend to rave reviews (at least in the world of Children's Theater. I am impressed at how natural Peyton seems on stage at such a young age, and she's the least dramatic of our girls. Though emotional drama does not always translate into stage drama. Eden successfully potty trained which will save us about $30/month in diapers and wipes. God provides in many ways. She earned a Chuck E. Cheese trip with Mom for all of her hard work. Brandon has been travelling a lot still meeting with people and speaking in churches throughout So Cal. This next month we will be speaking in Laguna Woods, Montebello, Oceanside, Perris, Ontario, Calexico, and Riverside. Amber is a reading machine lately. She's really caught on and wants to read to us all day every day. Praise God for reading software to give her what she wants and us some breaks! We got 4 chicks on February 8 and unfortunately, two of them died this past week from coccidiosis, a common disease in chickens from 4-8 weeks old. The girls were definitely sad, but the other two being healthy, the promise of more chicks later, and the life lessons we learned brought us all through.